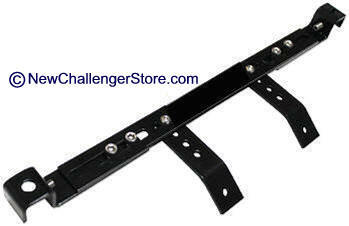 Also, includes universal mounting bracket ready to install. This high quality extinguisher is fully charged with sodium dry chemical powder (rated bicarb) designed to put out auto fires. Approximate size is 10" high and 5.5" in diameter. Size may vary. Weighs 2.5 pounds as required by many car races. 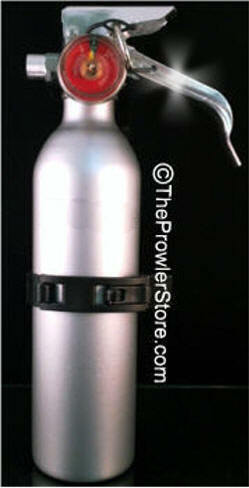 This is the perfect way to mount your fire extinguisher. The kit installs in minutes. So it can be in for those track days and then removed easily if desired for the street. The kit is professionally laser cut and finished with a anodized black.